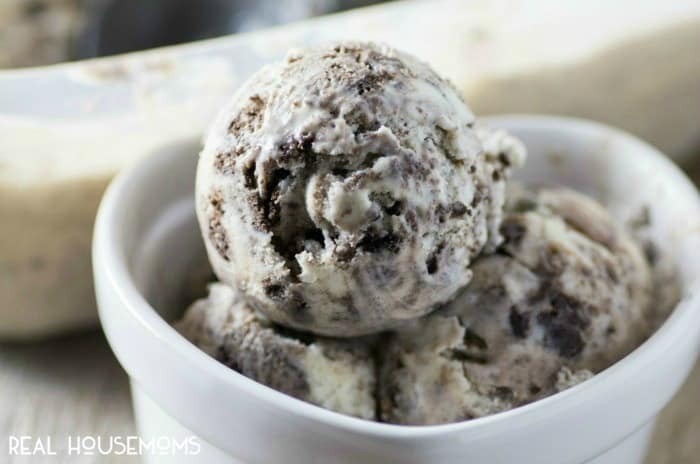 Grab your favorite sandwich cookie & whip up this decadent COOKIES AND CREAM ICE CREAM! Don’t you just love homemade ice cream, we sure do and I make it all year long but even more so in the warmer months. Our daughter loves a Mint Chocolate Chip with real fresh mint from the garden every year. I always make her that in the summer at the very least. 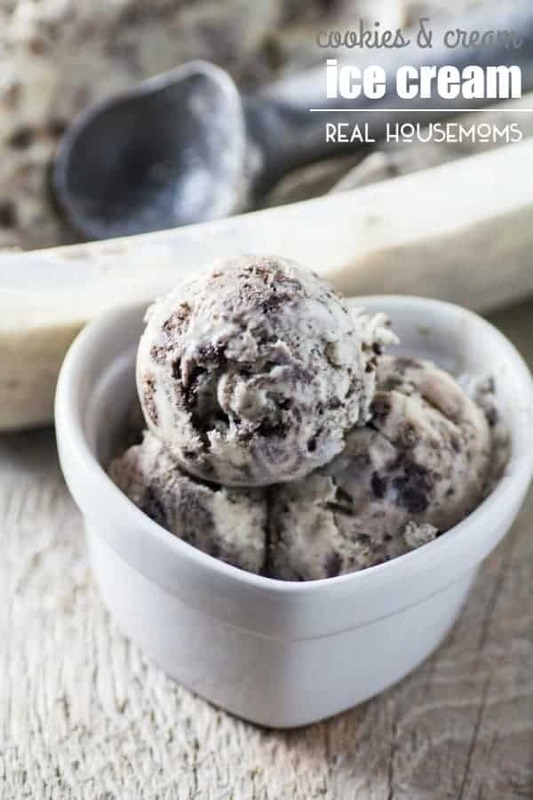 For this ice cream, I was inspired by my husband bringing home a box of Girl Guide Cookies and decided to make Cookies and Cream Ice Cream with them. 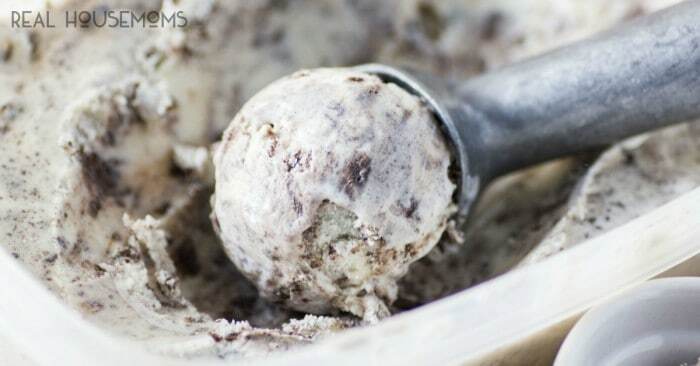 Rich chocolate cookies and perfectly creamy ice cream come together as one in this delightful frozen treat. You may be wondering why I called the cookies Girl Guide Cookies and not Girl Scout cookies. Well up in Canada that is what they are called. I believe the ones they sell here too are different. They are chocolate cookies with a chocolate center and vanilla cookies with a vanilla cream center. Both are equally as good but for this recipe, I used the chocolate ones. Don’t have these Girl Guide cookies? Not a problem, any sandwich cookie like an Oreo would work or even just a plain chocolate wafer would do well too. 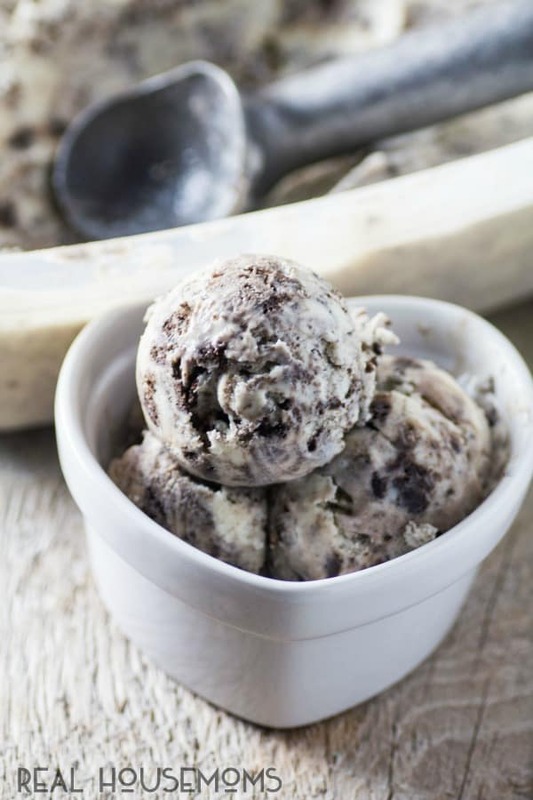 With every decadent bite of this wonderful ice cream, you have cookies in it. It turned out perfectly creamy and ever so decadent. Kids young and old are going to love this ice cream. Some ice creams get icy when frozen or are as hard as a rock to scoop. This one came out perfectly balanced, easy to scoop and creamy, not icy at all. Chocolate Girl Guide Cookies were the inspiration behind this decadent frozen treat but any sandwich cookie will work, or chocolate wafers too! 5 large egg yolks beaten. In a medium saucepan add the cream, milk, sugar, vanilla and a good pinch of salt. Continue whisking until the mixture begins to simmer. Add in slowly a cup of this hot mixture into the egg yolks while whisking and then pour the eggs into the rest of the cream in the saucepan slowly again while whisking. Change to a wooden spoon and stir cooking for about 6 min. or until the custard coats the back of a wooden spoon. Remove from heat and pour through a fine sieve to remove any lumps, into a bowl. Stir often until the mixture is cooled. Cover the custard with plastic wrap directly onto the custard. Chill in the refrigerator for 3 hours or overnight. Freeze according to manufacturer's instruction for your ice cream maker. When the ice cream is ready add the cookies at the last moment and let the machine incorporate. Place ice cream into a container with a lid for the freezer. Freeze for 2-3 hours. 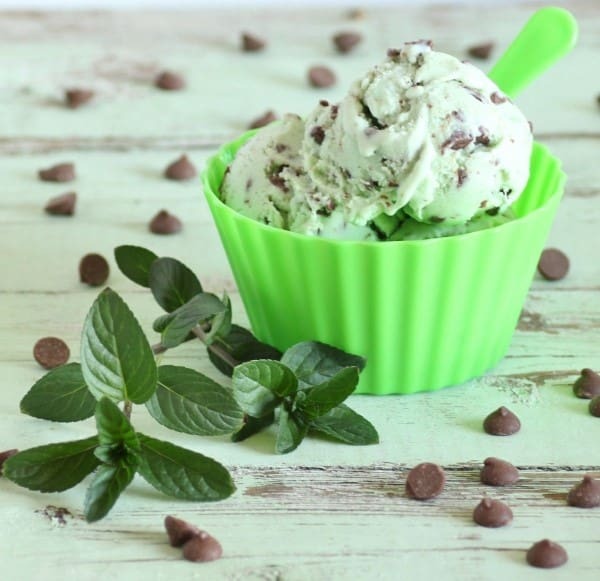 Here is the wonderful Mint Chocolate Chip Ice Cream that I make every year. It is so much better than any store-bought, you can taste the real fresh mint in it, scrumptious!! Come and have a look around Noshing With The Nolands, we always have fresh new recipes and more for you. Do you need to add more milk to fill line? You shouldn’t have to, it would depend on the direction of your machine.